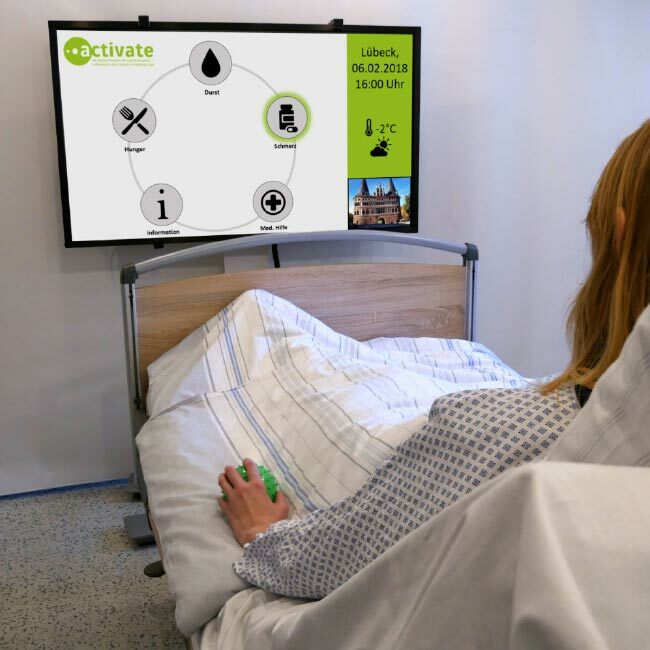 ACTIVATE stands for an Ambient System for Communication, Information and Control in Intensive Care and is a joint project of various partners. The focus is on improved care of critically ill patients in intensive therapy and care through the provision of user-specific technology. This includes the development of an innovative input device with intuitive operation and a matching output device. ACTIVATE aims to achieve the earliest possible communicative interaction between patients and caregivers. This is of particular importance in order to effectively support patients in regaining their mental and physical functions. 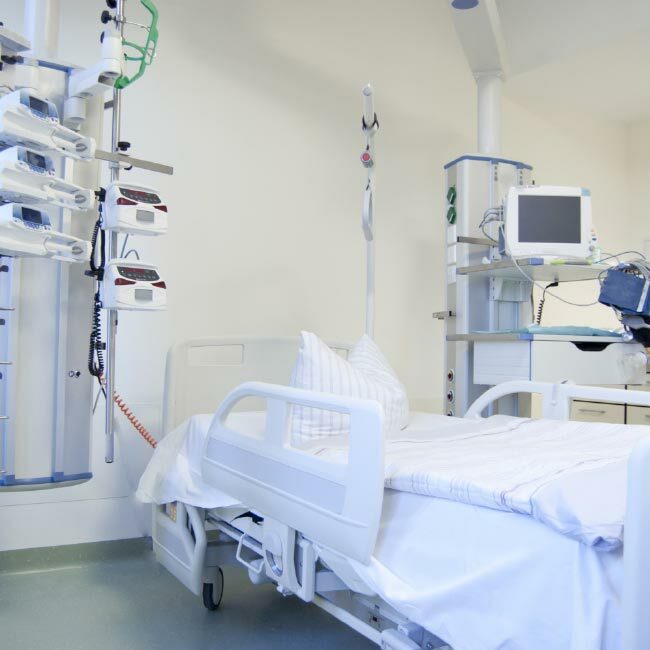 In contrast to previously available systems, ACTIVATE pursues an approach for the automatic adaptation of the input/output devices used in each case to the respective patient condition. The project is financed under the funding priority “Innovations for Intensive and Palliative Care”. It is thus part of the Federal Ministry of Education and Research “Care Innovation 2020” project, an initiative with the funding priority “Human-Technology Interaction” – and thus participates in the federal government’s research agenda for demographic change. 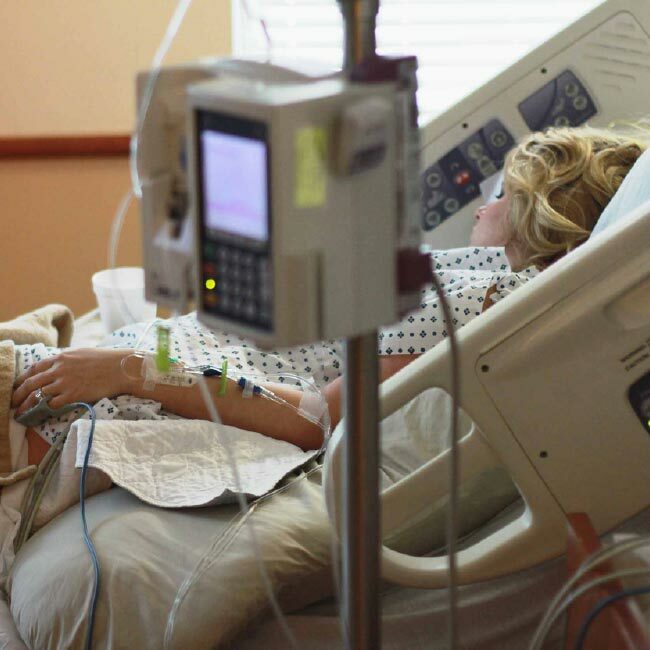 A stay in the intensive care unit is associated with many physical and mental strains for patients. This applies in particular to the phase of waking up from a prolonged period of unconsciousness and artificial respiration. Fear, feelings of foreignness, loss of identity but also inadequately treated pain cannot be specifically communicated so far. Research results show that in this phase it is particularly important to communicate with those affected at an early stage, to provide them with information and to activate them. Up to now, the nursing and treatment team has hardly had any effective aids available for communication. Although modern communication technologies such as smartphones are widely used in everyday life, they are sparsely used in the setting of intensive care. This is where ACTIVATE, a joint project of various partners from science, clinic and industry, comes in. The first part of ACTIVATE includes the development of a new innovative input device – in the form of a ball for the use in bed (BIRDY). The second area of ACTIVATE comprises the development of a modular software system for the dynamic decoupling of input devices and applications. The third focus of ACTIVATE is the application-oriented and user-centered development of a hybrid approach that combines the advantages of adaptive and adaptable human-technology interfaces. Thus, these interfaces are ideally adapted to the patient’s state of health and the specific application context. Until now, available means to support communication in intensive care medicine have usually been limited to analogue aids using pictures and writing (e.g. picture or word boards). However, their use is perceived as time-consuming and offers only very limited possibilities for communication. This is where ACTIVATE comes in with the development of a new interactive technology that offers more than just communication. One focus of ACTIVATE is the ball-shaped interaction device BIRDY, which is specially adapted to the patient group. It is equipped with extensive sensor and actuator technology and can be used directly on the patient’s body due to its rotationally symmetrical use and hygienic implementation via inductive charging. The ball thus becomes an intuitive communication instrument. The special thing: Frequently registered stresses such as fear, feelings of foreignness, loss of identity or insufficiently treated pain in the awakening phase can be avoided by the new interaction possibility of the restricted patients. As a result, the quality of life and self-determination of those affected are increased. The implementation of the project comprises the development of a technical (software) system for the situational integration of components for human-technology interaction (MTI). 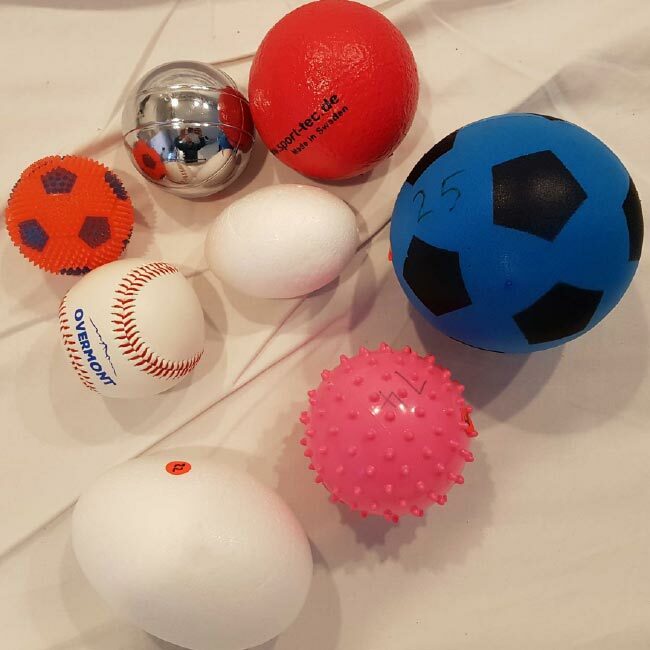 This includes the development of a novel ball-shaped input device for use in bed and the user-centered development of interaction mechanisms and contents. The demonstrator developed in the project will then be evaluated in a clinical field trial. 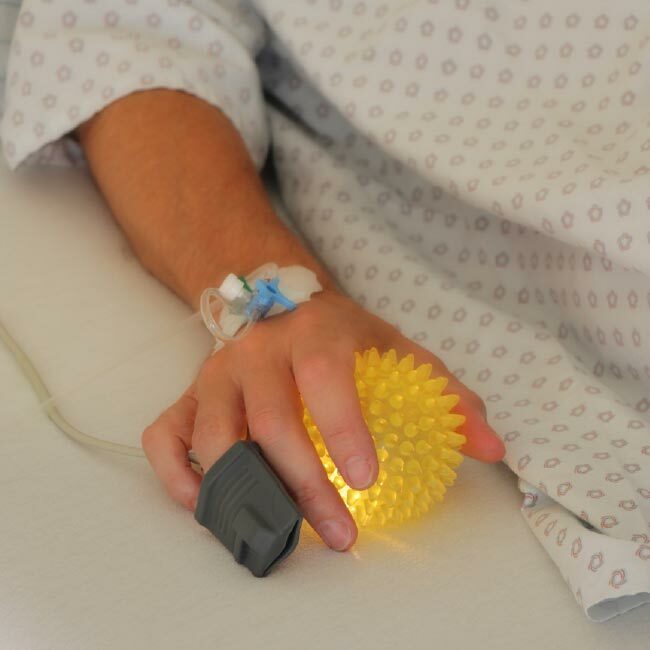 In addition, the innovative input device makes intuitive operation possible for the first time even for severely and severely ill patients.